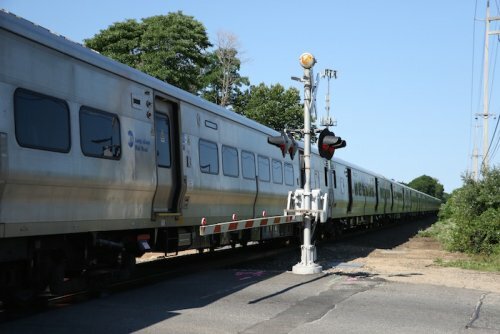 Congratulations to LIRR Safety Award Winners and 589 members Mark Givens, Chris Cardone and Timothy Gould. An awards ceremony was held on July 24, 2015 at the Hillside Complex recognizing their accomplishments. Congratulations gentlemen. All members are advised to contact our office if they are injured on the job or if they are out DS for over 15 work days. There has been issues arising from the Medical Department regarding return to duty cards and questionnaires that our members are being required to fill out. Please call our office 631-569-4008 so we can advise you. It is being anticipated that West Side Shop will be opening early in 2016. We have not yet been notified of the Departments intent in regards to job abolishments and new job positions. We will keep you up to date as information becomes available. We have been successful with several grievances that have been filed. Our members will be performing the electrical work in the new DPM offices being built in the Hillside Complex and the Company has agreed to pay a grievance filed for work done by a third party in various West Side Yard structures and areas. Engineering Department members are to be advised that Wantagh, Copaigue and Laurelton stations are contaminated with chlordane. Extreme caution should be used when excavating at these sites. Notify your reps if you are being directed to dig. Proper safety procedures must be followed. In addition 17 other sites have low level contamination. Signs are being posted in these areas to remind everyone of the hazard and what personal protective equipment (PPE) should be used. Anyone not having access to the proper PPEs should notify their representative immediately. We will continue to monitor these sites with the help of our friends at NYCOSH. Due to a rash of discipline charges there, Car Movers at Richmond Hill are to be reminded to follow ALL safety rules and procedures when moving equipment. It has come to our attention that some Car Movers are not qualified to move all of the equipment at the site. This poses a safety issue. Any Car movers who are not qualified on all the equipment at the site should notify our office immediately.